It started when I was a kid. I was self-conscious about my dark circles and what looked like a bit of puffiness under my eyes. In junior high school, I was already piling on the concealer to hide what I could. Lucky for me, I grew up around makeup artists who taught me tricks of the trade. It worked for quite some time – or at least to the extent that I could live with it. Then I hit my 30s. Life happened. Stress certainly contributed to the problem – but even with life’s stresses – I was noticing the bags getting puffier and puffier. It wasn’t normal even with the stress. Something was wrong. I complained… a lot. I must have tried dozens of eye creams. I googled. I read countless eye cream reviews on countless websites. I tried virtually each and every one with high ratings. I tried under-eye massagers, ice, cucumbers… all to no avail. So, I went and saw a cosmetic dermatologist in Beverly Hills, (who, lucky for him, shall remain nameless), and I allowed this man to inject saline into my under-eye area to show me what it would look like if I let him fill that area in with some kind of substance I was not yet familiar with. Truth-be-told, the saline wasn’t too bad – but I got the distinct impression that he was just making me puffier all over instead of eliminating the real issue. A handful of years later in New York City, I was now hauling around even more baggage and was even unhappier. I kept the lights in my bathroom dim because it sort-of hid them. I figured if I didn’t see them that often, they wouldn’t upset me quite as much. Who knows what my makeup application must have looked like when I walked out into broad daylight? But, it was unavoidable. I’d go shopping – try on cute clothes – and the giddiness would be eliminated the minute I focused on my excess baggage. I had finally hit my breaking point. SURGERY?!? What?!? That was precisely what I didn’t want to hear. But, I was determined. I looked at least 10 years older than I should’ve and at this point I was hiding behind glasses every single day. So I did my research – and found an amazingly reputable board-certified plastic surgeon named Dr. Glenn Jelks I went in, had a consult – and was immediately put at-ease. 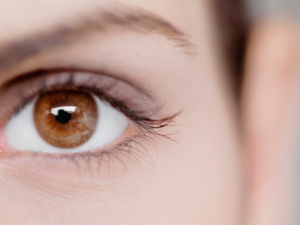 I actually first met with his wife Dr. Elizabeth Jelks, a board-certified opthalmologist, (who he is in practice with), who checked out my eyes to ensure that I was even a good candidate for a lower-lid blepharoplasty. Fortunately, I was – because after meeting with the two of them, (both of whom are delightful), I was sold – especially because they both allayed my fears about anesthesia… which I had been positively petrified of my entire life. They also took the time to show me countless before-and-afters – all of which were impressive. After spending hundreds if not thousands on piles of eye creams, concealers and contraptions, spending a reasonable amount of money on a permanent solution didn’t seem like a bad idea at all – especially because you never need to repeat this procedure! And so I did it – and I am beyond pleased with the results. Dr. Jelks was conservative. I don’t look overly pulled – and I think I look completely natural because there are still some creases – which I quite like – but the baggage? Left it on the side of the road. 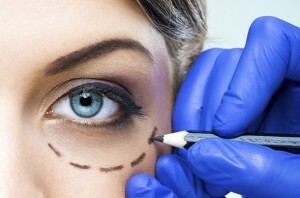 For more information about blepharoplasty, or to find a board-certified surgeon near you, visit Smart Beauty Guide.